We are specialised in offering a world-class wide range of Magnetic Earth Clamps/ Ground Clamps. Using premium quality material and ultra-modern techniques, these clamps are manufactured under the stern vigilance of our seasoned technocrats at our in-house manufacturing unit. The provided clamps go through several quality tests in order to ensure their strength and durability prior to delivery at our patron's end. Our offered clamps are widely acknowledged for their robustness and quality. 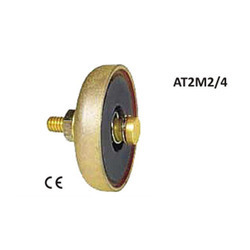 We are specialized in offering a range of CE Certified Magnetic Earth Clamp AT1 Series 200 Amps. Using premium quality material and ultra-modern techniques, these clamps are manufactured under the stern vigilance of our seasoned technocrats at our in-house manufacturing unit. The provided clamps go through several quality tests in order to ensure their strength and durability prior to delivery at our patron's end. 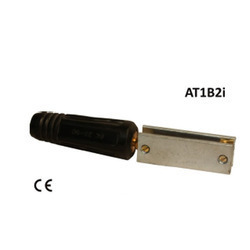 Our offered clamps are widely acknowledged for their robustness and quality. 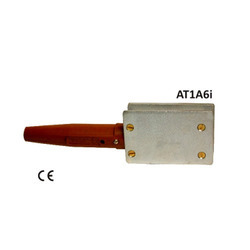 We hold expertise in offering an exclusive range of CE Certified Magnetic Earth Clamp AT1 Series 400 Amps that is broadly used in automotive industry. Under the stern guidance of talented workforce, our offered clamps are manufactured using quality tested material in tandem with predefined industry standards and norms. Moreover, these clamps are duly inspected against several measures of quality for ensuring their flawlessness. These clamps are easily available at affordable prices. Our CE Certified Magnetic Earth Clamp AT1 Series 600 Amps are widely used by our clients for their daily need to make sure that their work environment is safe for their workers and it adheres to the international standards of working. We in tern make sure that we provide the best quality product and most reasonable prices to our clients. We at metal arc® are constantly providing new products and ranges to choose from for our clients. 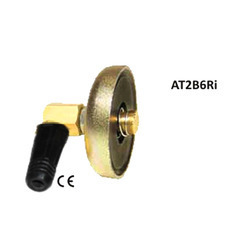 One of our most reasonably priced CE Certified Magnetic Earth Clamp AT2 Series 200 Amps in AT2 Series comes with a high quality magnet and best in class connectivity option. We at metal arc® are constantly providing new products and ranges to choose from for our clients. With the AT2 Series we have gone one step ahead and provided our clients with multiple options in one single Magnetic Earth Clamps. With an option of revolving 360 degrees we have combined many different types of earth clamps/ ground clamps in one single design. 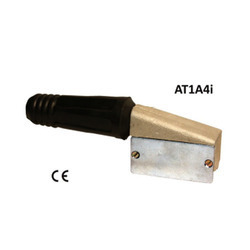 Our CE Certified Magnetic Earth Clamp AT2 Series 400 Amps in AT2 Series comes with a high quality magnet and best in class connectivity option. 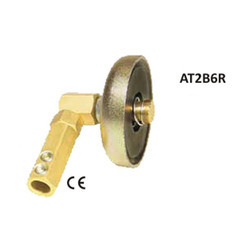 Using main brass body giving better conductivity and peace of mind. We at metal arc® are constantly providing new products and ranges to choose from for our clients. Looking for Magnetic Earth Clamp ?